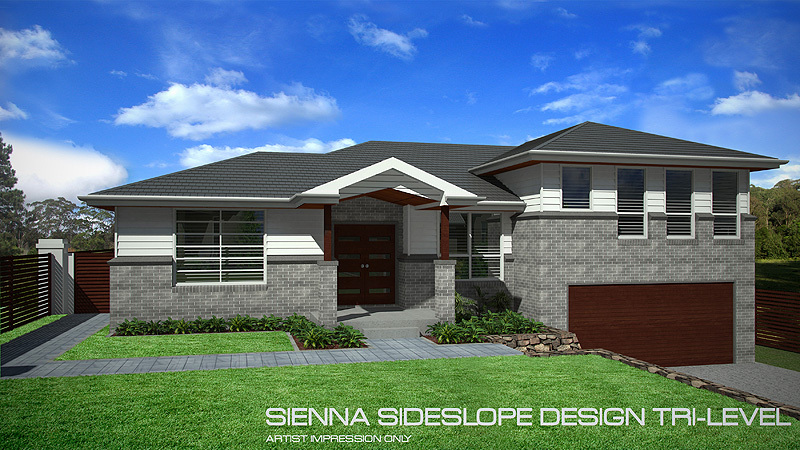 The Siena Split level Sideslope is a timeless urban design that packs in style and space. 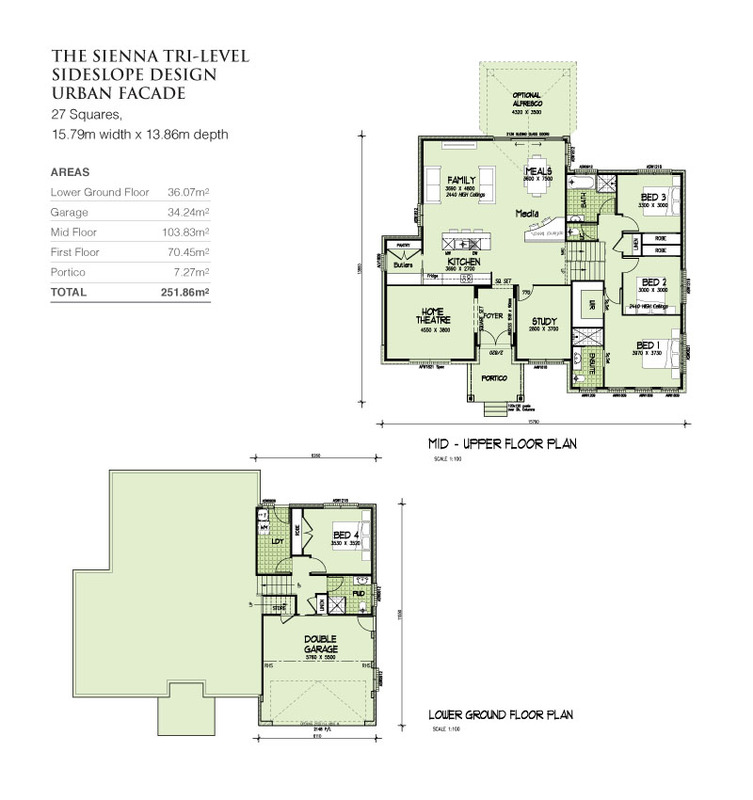 This design focuses on smooth open plan living with seamless flow from inside to out. The galley kitchen has an added butlers pantry and breakfast bar for eating on the go. 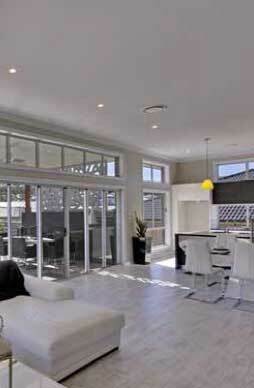 Living areas are situated on the mid floor allowing for easy access to the outside through glass sliding doors. 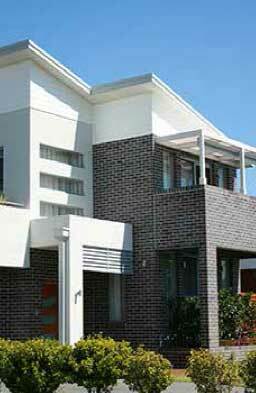 A separate home theatre is spacious enough for the whole family to relax and watch a movie.